Have a quick challenge or problem you're working through. Get quick, actionable advice during a call. Learn how to receive effective feedback from your team, and keep improving your leadership potential. As you grow in your career, get advice on how to develop your leadership skills + move up the ladder. 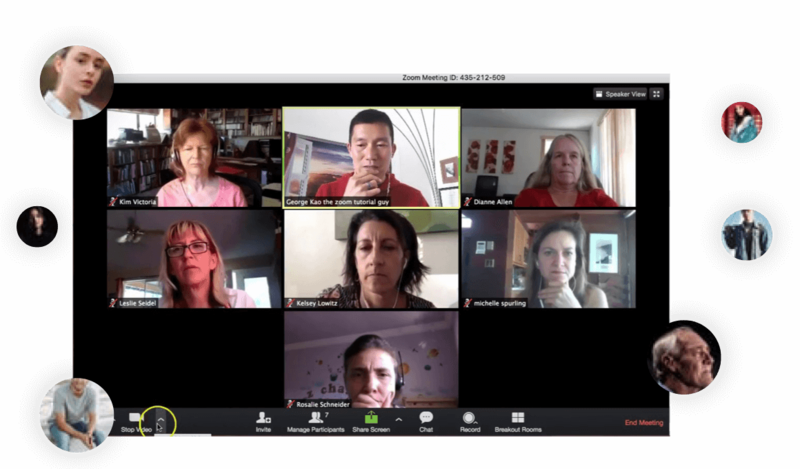 Chat with leaders who have been in your shoes, and can share insights on things you didn't expect. 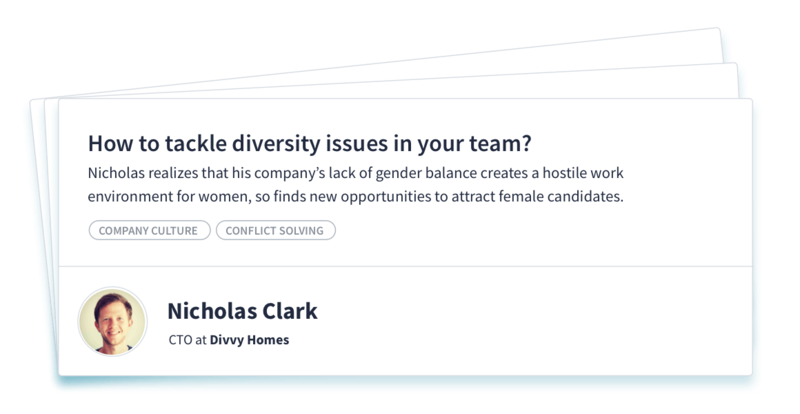 Share a challenge with us, and we’ll schedule a 30 minute call for you to get actionable advice. 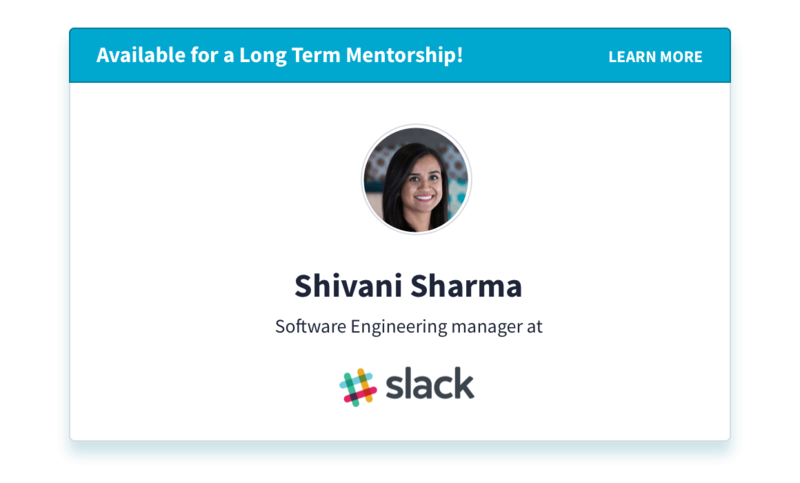 We’ll also set up a dedicated one-on-one Slack channel for you and your Mentor to communicate. 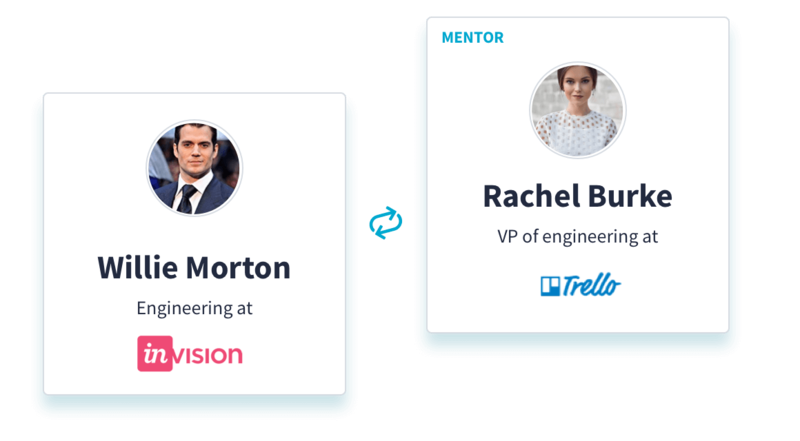 Have valuable, candid conversations with peers around curated topics by Plato Mentors. Discover the things you didn’t know you didn’t know. Curious what others have to say on the topic? Search for your challenge in our extensive database of stories written by Plato Mentors of their own experiences, challenges, and wins. 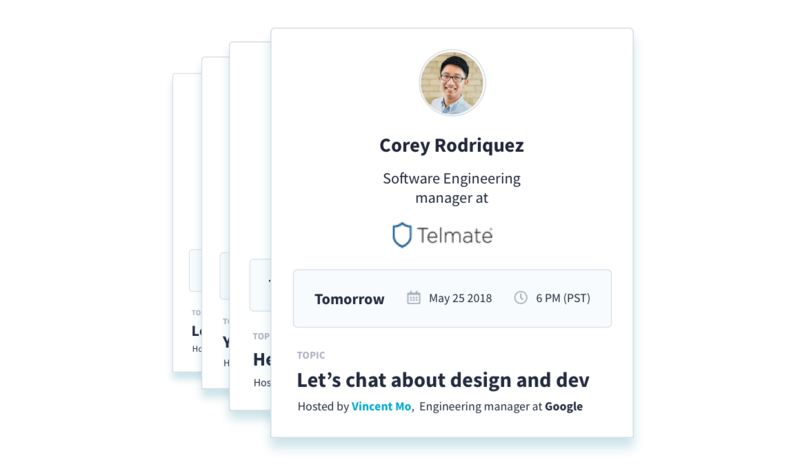 We automagically match you through a set of criteria to ensure you’re going to have a great conversation. We look at seniority, type of expertise, size of company, your specific challenge, and more. Maybe you had a great conversation with one of our Mentors. Develop a deeper relationship over a six month period with consistent calls from someone you can trust.